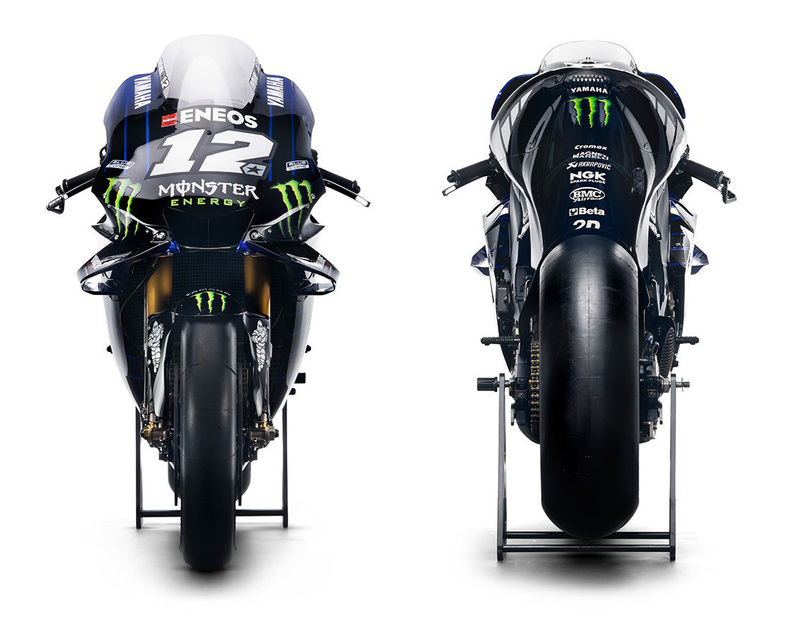 This is the new Monster Yamaha YZR-M1 that will be ridden by factory riders Maverick Vinales and Valentino Rossi in the 2019 MotoGP season. 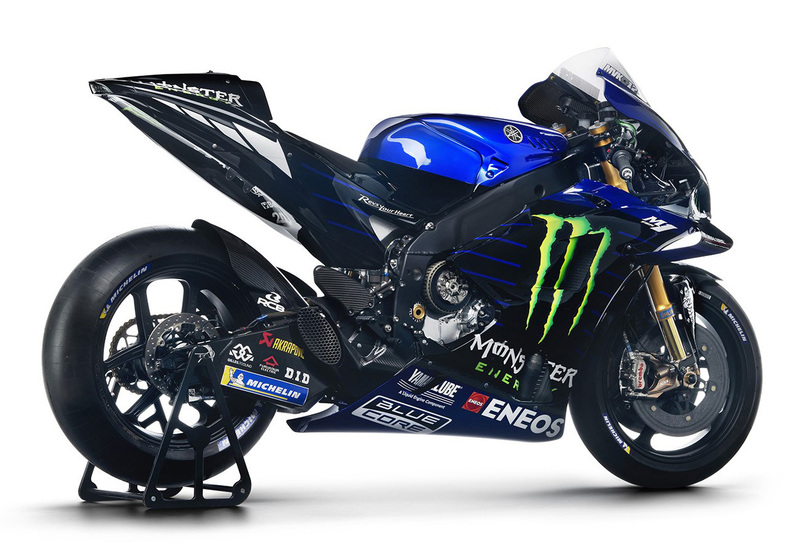 Monster Energy as main sponsor to the 2019 Yamaha M1 has given the bike a radical new look for 2019. 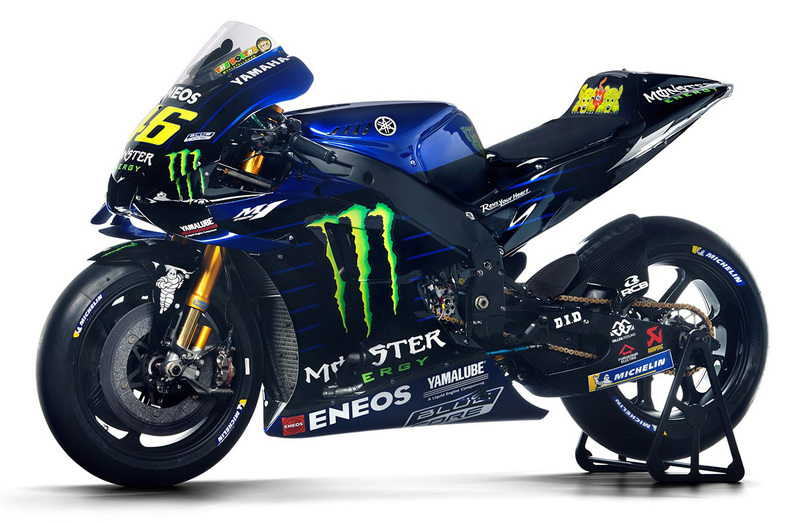 The Monster black and Yamaha blue combination create a stunning new livery which will take over from the old Movistar logo which was used since 2014. 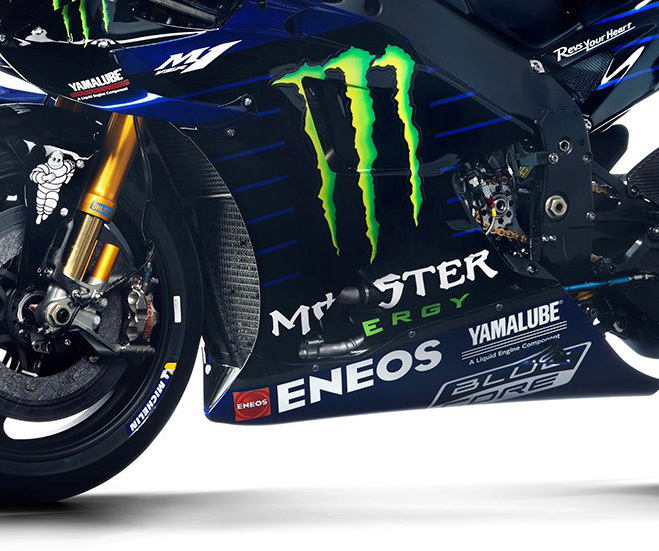 Lin Jarvis, managing director of Yamaha Racing, said: "We like the new colours of the bike a lot. It's more aggressive and I think that is what we need to be. We need to adopt the attitude of 'beast mode on' to be world champions." 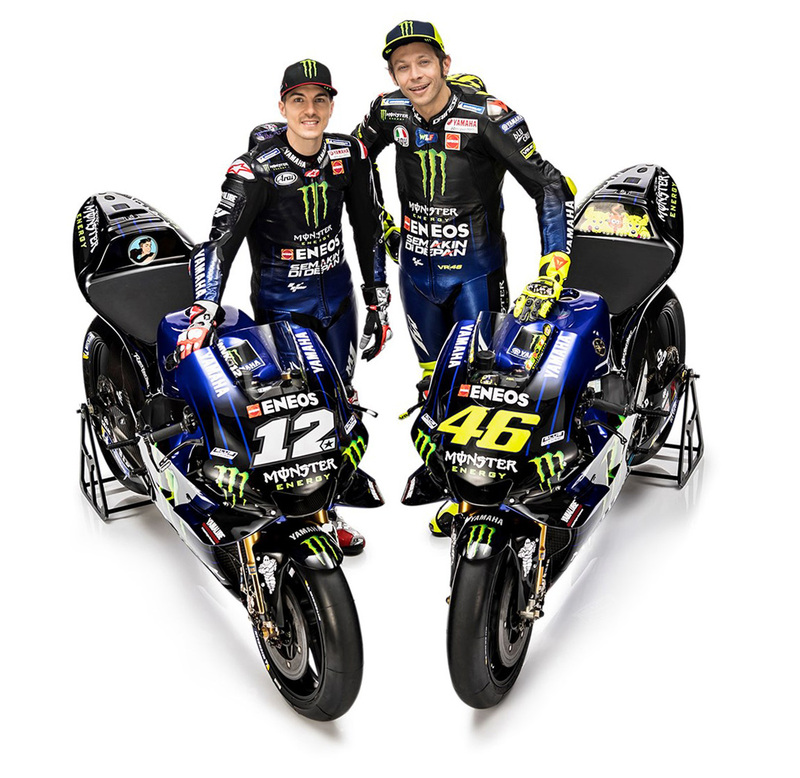 Rossi, who will be 40-years-old in 2019, is preparing to start his 24th season of grand prix racing. 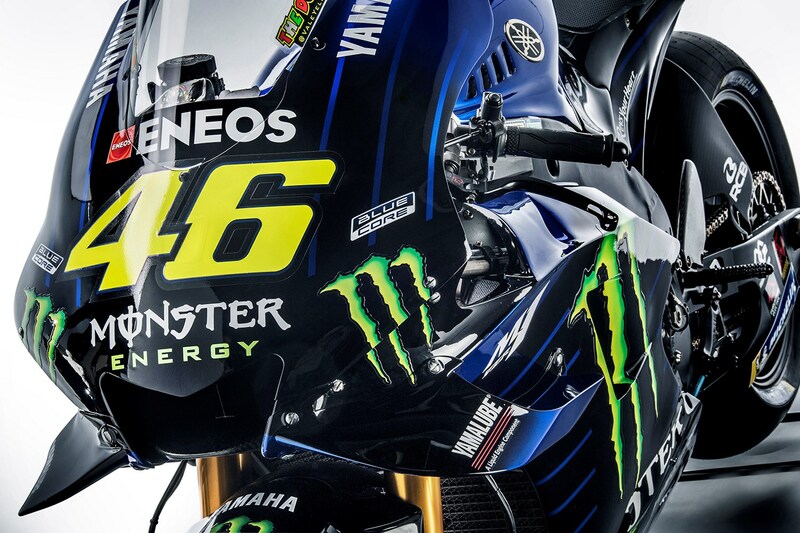 "The bike looks great, more aggressive with the black and green alongside the blue," said Rossi. "We are a little bit like the 'Men in Black'! It's a shame the holidays are finished but we are excited and ready for the new season. I think, Vinales and I, are a 'good couple': He is young - unfortunately, I am not! - but I have a lot of experience. We fight together on the track, but we have good respect off-track. All factory teams work together now, the two riders, so we always follow what Maverick does with the bike. He is fast and brave and it's good to have him as a team-mate." "The bike looks beautiful!" Vinales said. "I can't wait to start and for me the holidays have been too long, I want to be on the bike and see the steps forward. I feel more confident with Esteban Garcia, new crew chief on the team... With all the changes being done with my crew and the bike, I feel we can do it. Valentino and I battle many times, but it stays on the track and when we take off the helmet we stay friends. I like this."